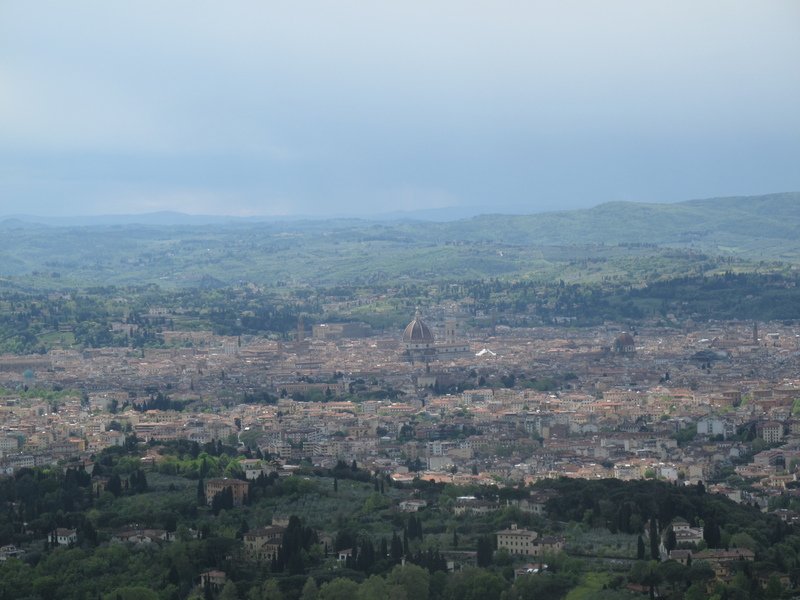 Overlooking Florence and the Arno plain, the town of Fiesole offered me some breathing space to poke around its Roman footprints of a theatre, a bath complex and temples. 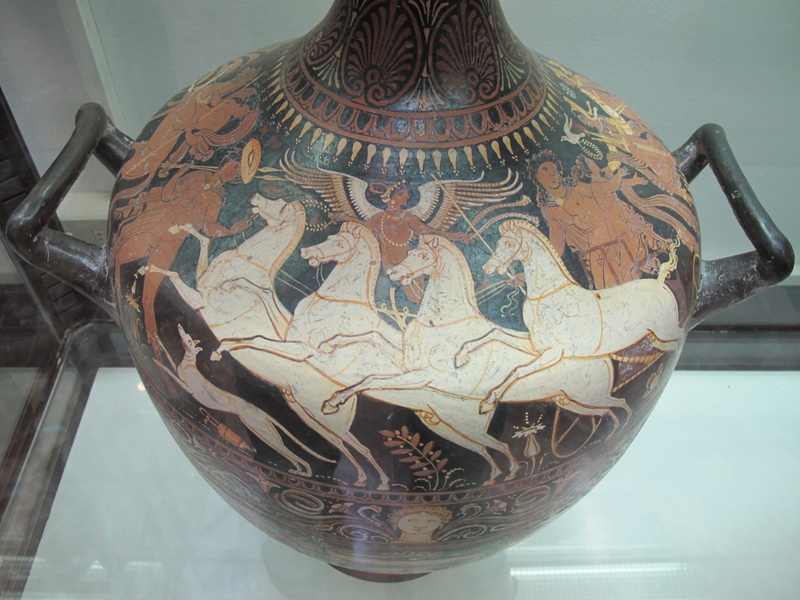 In its museum I found artefacts of the town’s Etruscans and Romans, and I was blown away by a collection of stunning Greek black figure and red figure ceramics from the 5th and 4th centuries BC. 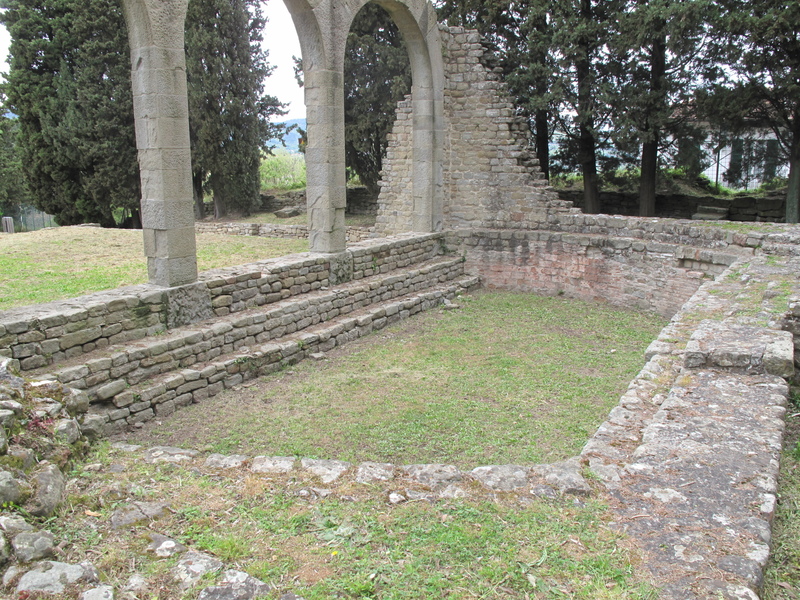 I left the bustling crowds of Florence and traveled a half hour by bus to Fiesole, and back to the ancient town of Faesulae. 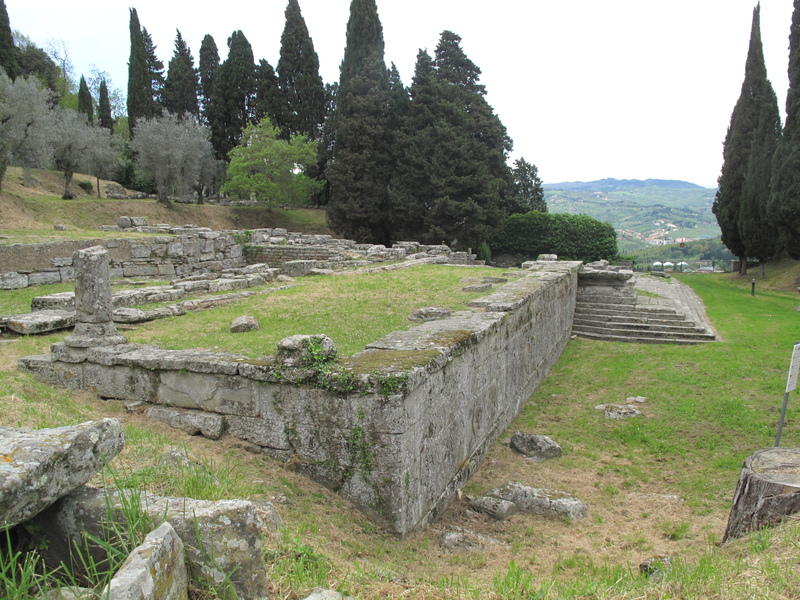 Faesulae was an Etruscan site from the 4th century BC until 90 BC when the Roman consul Porcius Cato conquered the town. 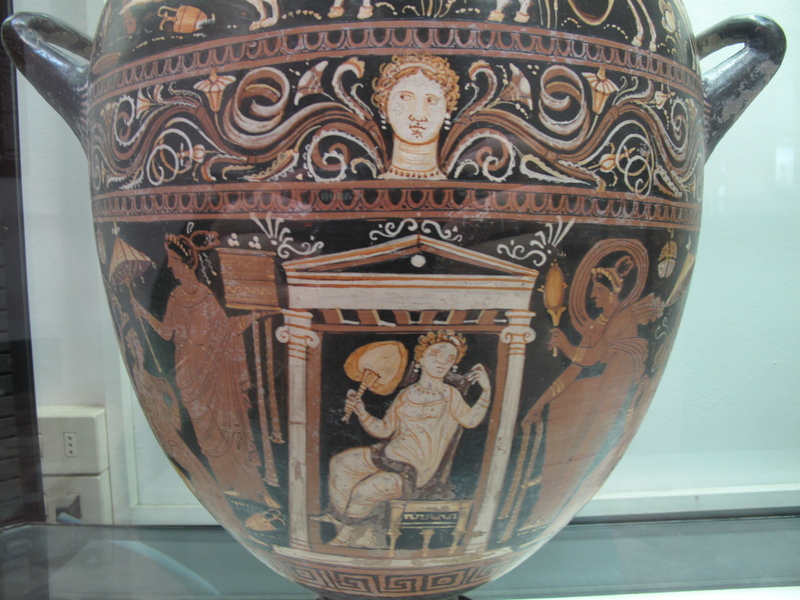 During Roman times it became a colony for Roman veterans and was renowned for its school of Augurs, religious officials who observed natural signs to determine divine approval. 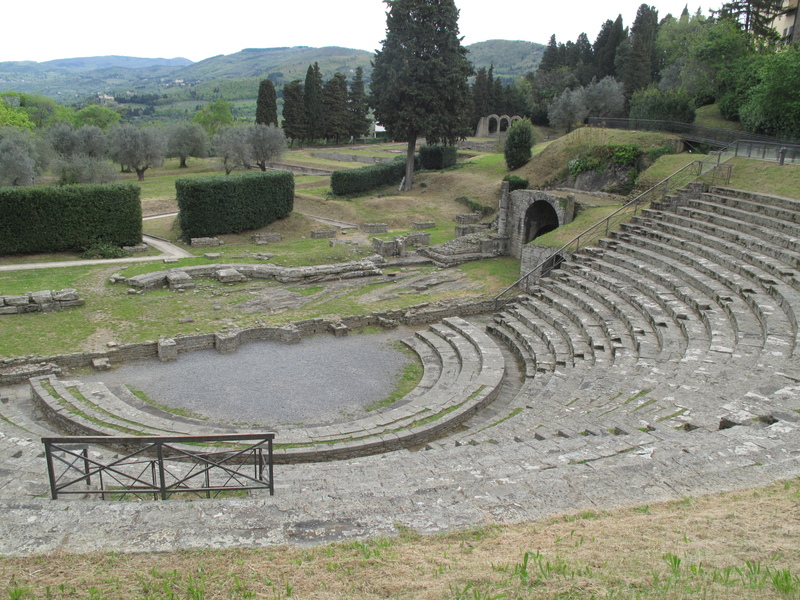 Faesulae’s Roman theatre was built in the late 1st century BC and then redecorated in the 3rd century AD. 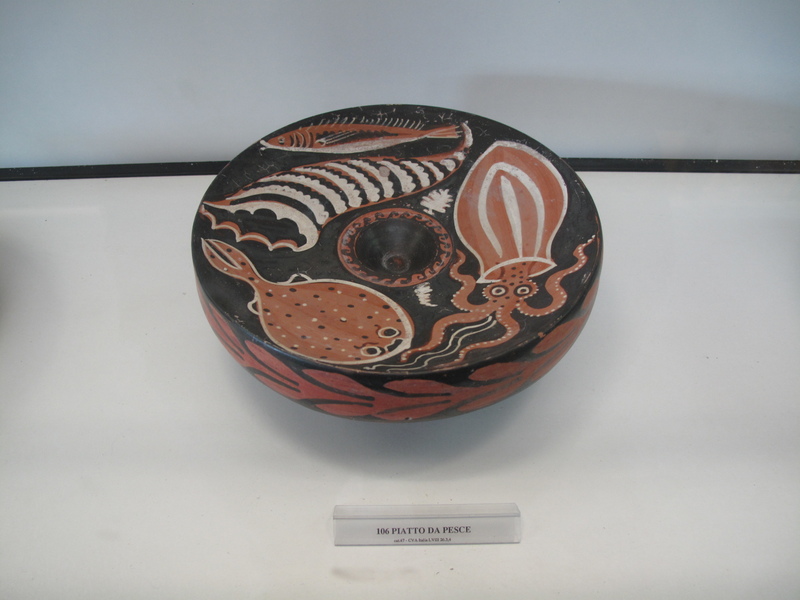 It is well preserved after being excavated and restored in the 19th century. Not far from the theatre are the remains of the town’s bath complex. 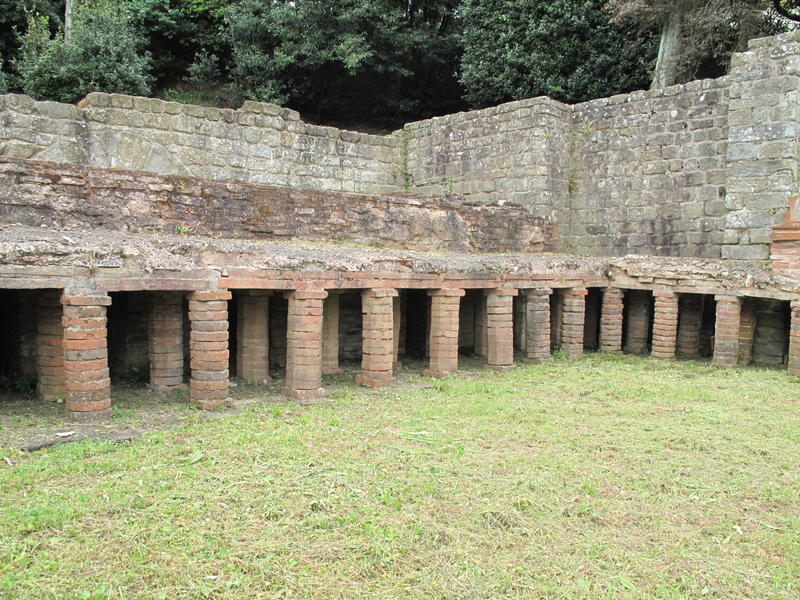 With reconstructed hypocaust/underground heating for the caldarium and tepidarium/hot & warm rooms. Across from the bath complex on the other side of the theatre, there are remains of an early Etruscan temple and a later Roman temple. 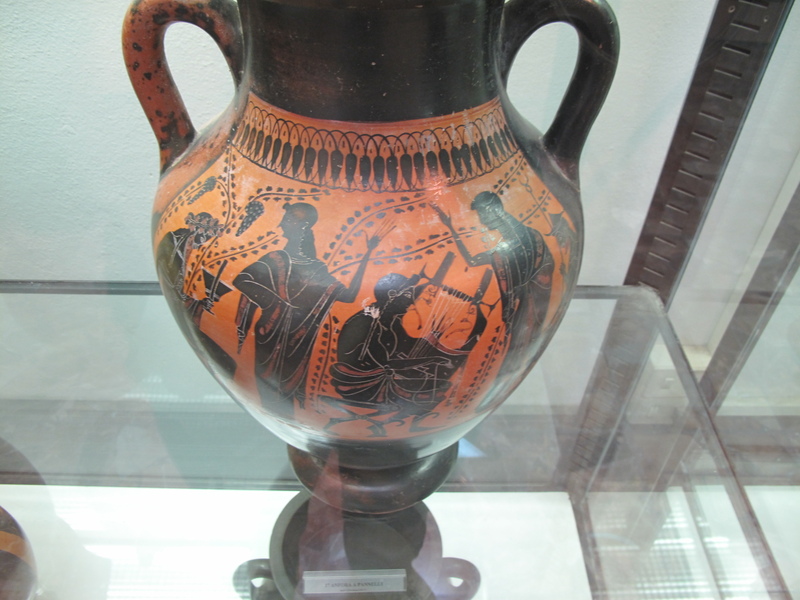 In 1985 Professor Alfiero Constantini donated a large collection of ancient ceramics, including Corinthian vases, Attic red and black figure pieces, Etruscan and black ware pieces. They are some of the best I have seen. Before heading back into the fray of Renaissance Florence, I wandered around the modern town of Fiesole. 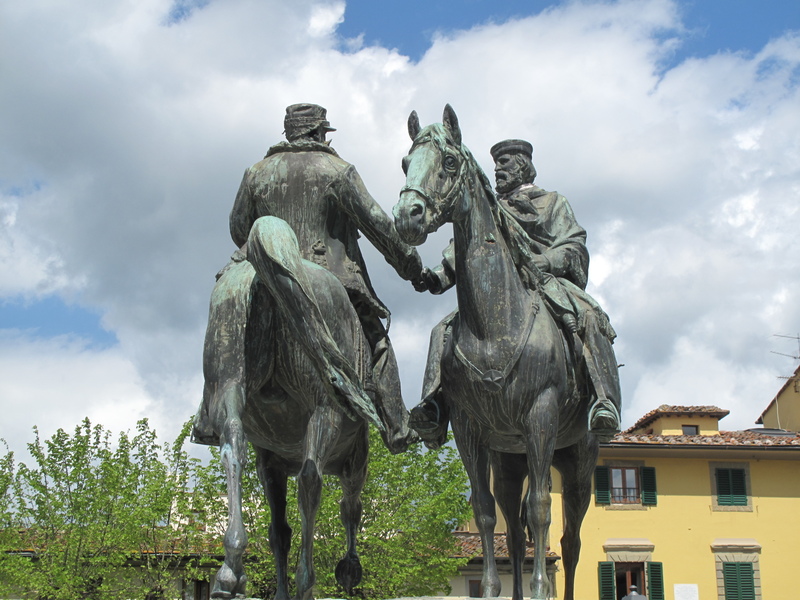 In the main piazza I admired a modern bronze equestrian statue showing the meeting of Guiseppe Garibaldi and Vittorio Emanuele II in 1860 during the unification of Italy.